Some of you might remember a few years ago a dear friend, GG, came to stay with us for a few months. We've known GG since she was two years old, and her mom and I are excellent friends. GG and Older Daughter grew up together, and she was working in New York City for the first year Older Daughter was nannying in New Jersey, so the girls were able to get together (and GG even managed to drag Older Daughter to the Met, since GG is an opera fanatic). 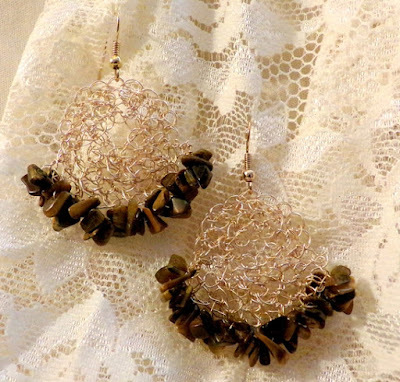 Anyway, GG had an Etsy store called Dream Wire Designs. It slowed down for a while as she was busy with her job, but now she's attending college and reinstating the store. I urge you to visit and support her endeavors -- and help pay for her schooling (every little bit helps!). 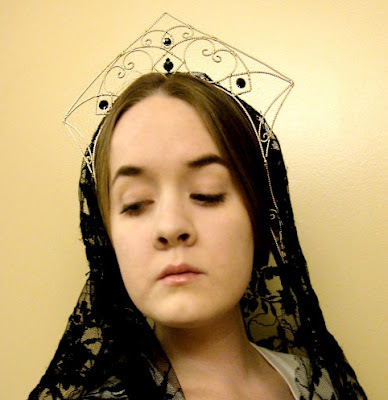 Here are some of the astounding creations this talented young woman makes -- with just wire and beads, her fertile imagine, and her nimble fingers. 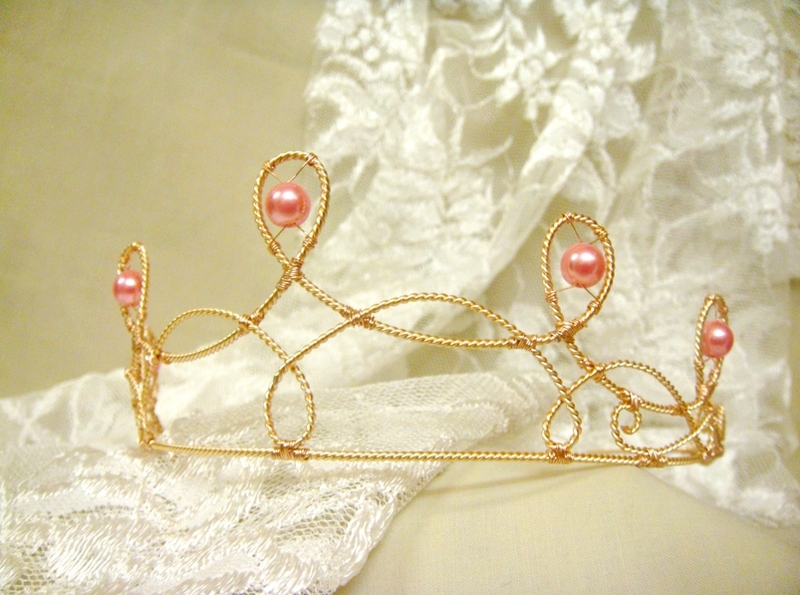 One of GG's most popular items is custom crowns for little girls. When she was staying with us, I was privileged to watch her make these from beginning (sketching the outline on her computer and sending it to the customer for approval) to end (her jaw-dropping construction techniques). 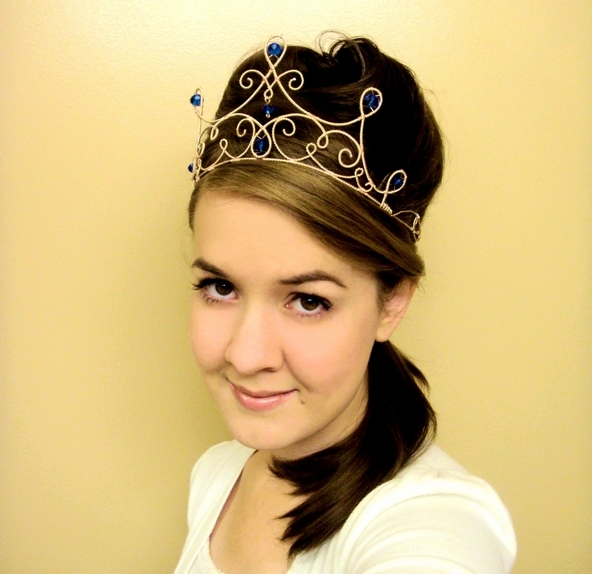 She also makes custom crowns for grownups. 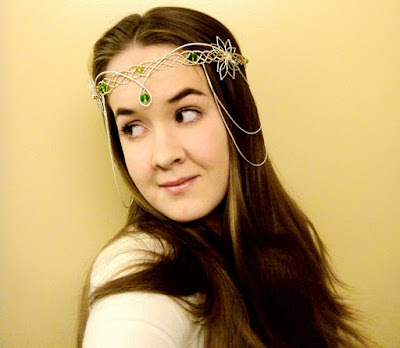 These are very popular for brides. GG is both a history buff and a Lord of the Rings buff, so many of her pieces reflect those interests. 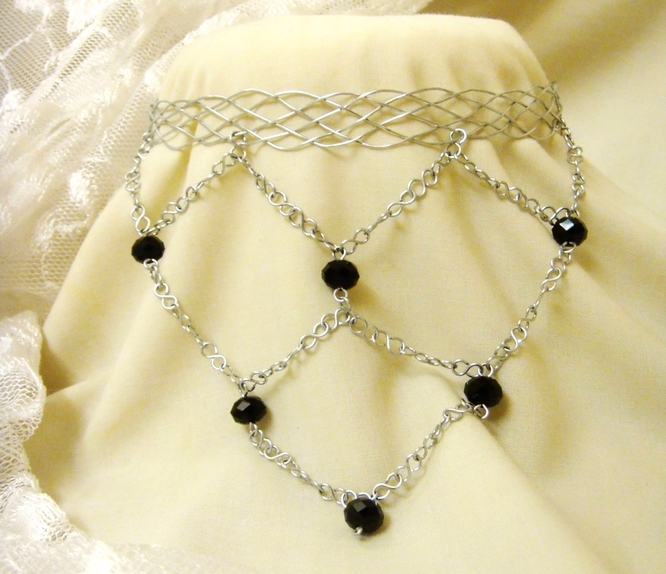 GG can do all sorts of fantasy wire designs -- chokers, necklaces, earrings, brooches, you name it. She's one talented gal. Go check out her store -- and tell her I said "hi." Beautiful work! 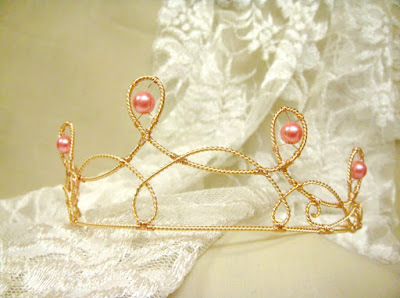 My little girls would love one of the crowns. I will check out her shop. Thanks! Gorgeous. My son is getting married in the next couple of months, maybe one for my future daughter-in-law. Thanks for the pics and the information. Dozens of new ebooks now available!